Set adjacent to the superlative Four Seasons Resort at Petite Anse, Seychelles; with a combination of contemporary and tropical influences, the "Plantation House" spirit is developed as soon as the door opens into the luxurious gaming area. Thirty one of the latest electronic gaming machines are available offering the most popular reel and video slots, all linked to a loyalty card system and mystery jackpots. 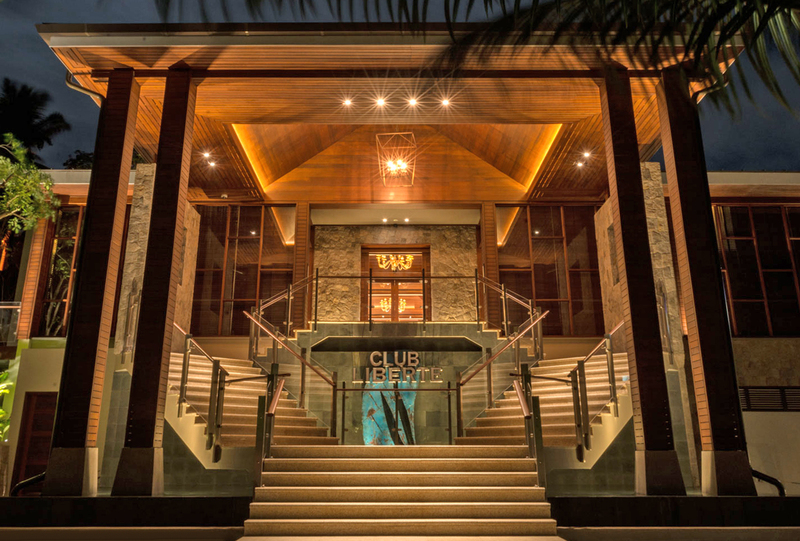 Club Liberté is not just gaming, and proposes a glamorous cocktail bar and a quality restaurant offering international favourites and top quality sushi. Live music and other entertainment is presented for the casino guests while they relax and enjoy their visit to the Club Liberté. The Casino can exchange foreign currency and accepts all major credit/debit cards as well as having an ATM. The casino is open from 12 midday for slots only, with tables opening at 6pm, the casino closes at 4 am.